Why Is Bitcoin Surging, and How Long Can This Continue? The value of Bitcoin keeps rising. As we write this, in the last 48 hours itself, Bitcoin has risen nearly $3,000, and is now valued at around $14,800. Less than a month, ago it was nearly 40 percent of that, listed at $5,750 on November 12. And if you had invested at the start of the year, you'd be sitting on over 14x returns right now, as a single Bitcoin was worth less than $1,000 on January 1. After some lows in 2015 Bitcoin has been headed upwards, first steadily, and then dramatically as of this year. What's less clear to many, including people trading in Bitcoin and various experts, is why. Having spoken to a lot of people for this story, we got a sense that there aren't many good answers, and if that sort of talk makes you nervous about investing in Bitcoin, good. There are some real fears that this is a bubble, and if you don't do your research carefully then there's a good chance that you'll lose money if you "invest" in Bitcoin. We spoke to a number of people who have been public voices on Bitcoin, cryptocurrency, and blockchain technology and we asked them why they thought Bitcoin has been rising so fast. While a few people have theories, most avoided direct answers, giving more general answers about the importance of the technology. There were also others - particularly from financial institutions and banks - who requested that their organisations not be named. One, speaking on the condition of anonymity said, "There are a couple of different things that have helped Bitcoin lately. It's going to be on the Chicago Exchange, which is a big deal, and Coinbase in the US rolled out a new products for faster trading, which has also helped growth, if you look at the charts you can see the impact. But despite that, I think Bitcoin is too volatile to predict, and if anyone is completely positive about it, it's probably their bread and butter." Perhaps not surprisingly, two of the most positive voices we heard were from people whose businesses are built around Bitcoin. 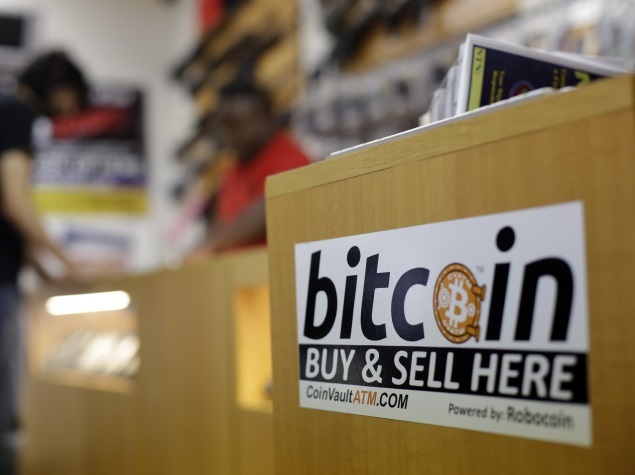 Asked why Bitcoin had started to rise in value so fast, Sathvik Vishwanath, CEO and Co-founder of Indian Bitcoin exchange Unocoin says it's because we're not past the early adoption stage, with users now more informed about Bitcoin. "Several global giants either accept or support Bitcoin transactions," he adds. "Since there is an upper cap of 21 millions on the total number of Bitcoins that can be mined, we foresee the values of Bitcoin soaring in the near future. Hence, from an investment or spending perspective, every user should buy Bitcoins now." Sandeep Goenka, co-founder of another leading Indian exchange, Zebpay, expressed similar sentiments. "Bitcoin crossing $10,000 proves that more and more people are realizing that this is a revolutionary technology," says Goenka. "Nations which adopt it have the potential to become fintech hubs of the future. Those who don't risk are being sidelined from one of the biggest technological benefits, like the Internet." Others are more willing to accept that there's a hype cycle going on, but at the same time, point out that for a disciplined investor, it holds potential, and there are different factors that are helping Bitcoin to grow right now, beyond the hype. "There is increasing legal recognition, a growing usability, and acceptance, while the original, political reasons leading to Bitcoin's popularity are strong as ever," says Kumar Gaurav, founder and CEO, Cashaa, a blockchain powered banking and forex platform. "The upcoming launch of Bitcoin futures in December 2017 by Chicago Mercantile Exchange (CME) is right now seen as one of the main drivers of current price rail. This will allow market an option to short Bitcoin. It's a major milestone for Bitcoin which cleared its mainstream recognition as a new financial product, irrespective of its past." 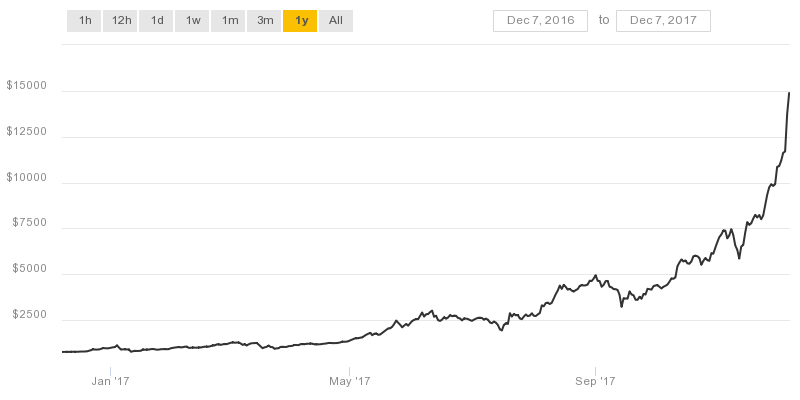 It's one of the few concrete points that can explain Bitcoin's surge, although only in the shorter term - the surge that started over a year ago is less clear, though Gaurav disagrees that there is a bubble. "Every technology or product has its hype cycle, and Blockchain and Bitcoin technology are certainly under the same hype cycle," he says. "But the market is driven by the demand and supply. In case of Bitcoin, it has proven that currently in the upcoming digital age it's the best product as the store of value which is most secure, easy to move, liquid with the very limited supply of 21 million. So, I will not say Bitcoin price is rising due to bubble effect." Bitcoin Is at an All-Time High. Should You Invest in It Now? It's a position that is similar to that of Akash Gaurav, CEO, Auxesis Group, one of the companies in India that is working to develop uses for blockchain technology beyond the Bitcoin. "Indian Bitcoin market highly depends on the Western world for Bitcoin price while keeping its attractive spread due to capital control laws in India," he says. "Currently, entire world is excited about the acceptance of Bitcoin by Chicago Mercantile Exchange (CME) group to launch Bitcoin Futures in early December. People will still say it's a bubble, but that's fine. World has seen bigger bubbles than Bitcoin, the last Internet bubble was more than $5 trillion, US Housing bubble was $7 trillion." In contrast, the Bitcoin market still remains pretty small, and that's why he's of the opinion that even if there's a bubble, there's still an opportunity to invest, if done with caution. "There is still ample room to grow as the entire crypto industry market cap is right now less than $300 billion," he adds. "The point is that people are now realising the potential while the fear of missing out is becoming stronger." Not everyone is an optimist though. Yale economics professor Robert Shiller, who won a Nobel prize for his work on bubbles and wrote a book titled Irrational Exuberance, which is on speculative manias, told Quartz that Bitcoin is the "best example right now" of irrational exuberance. "It starts with Satoshi Nakamoto - remember him? The mysterious figure who may or may not be real. He’s never been found. That has a nice mystery quality to it," Shiller said. "And then he has this clever idea about encryption and blockchain and public ledgers, and somehow the idea is so powerful that governments can’t even stop it. You can’t regulate this. It kind of fits in with the angst of this time in history." In a talk in October, famed investor Warren Buffet also shared his doubts about Bitcoin. "You can’t value Bitcoin because it’s not a value-producing asset," said Buffet. He also used the b-word, saying there is a "real bubble in that sort of thing". European Central Bank President Vitor Constancio dismissed that Bitcoin posed a threat to monetary policy and compared it to the tulip bubble of the 17th century. A banker who requested not to be named added: "There are two points of view, my company's, and mine. From the company point of view, while I can't officially say anything, I can tell you that we are studying Bitcoin very carefully. It is incredibly volatile, and right now it's hard to predict if we're headed into a crash right away or if it's going to get a lot bigger first. That's why we're offering no comment." "On a personal level, I've invested in Bitcoin and I'm holding on to it," he continues. "It's a very small part of my portfolio - I've bought and sold more and will continue to do this, but a small amount I've set aside to hold for as long as possible, to see where this thing goes." Writing for Fortune, Stephan Goss, the CEO of data discovery company Zeeto makes an important point. "If you are looking to draw a parallel to traditional assets, do not use currencies like the USD," he writes. "Since there is no economy behind Bitcoin, that model won’t work. Instead, compare Bitcoin’s valuation to the fine art market. Like Bitcoin, a great painting has no asset-backed value, but it is a scarce resource. Even my finest work is worthless because there is no demand for it. If you want to figure out if Bitcoin is a bubble, first off, start treating it like the high-risk, speculative commodity it is." That's something that Siddharth Devnani, a Bitcoin watcher who heading the finance and technology for a digital communications organisation, SoCheers also echoes. "The recent crash in the exchange rate is one of many instances of Bitcoin's volatility - and barely comes as a surprise," says Devnani. "It is unlikely to stabilise any time soon owing to its legal grey areas in most countries - including India, rifts in their development teams, and defamation by financial institutions who perceive it as a threat." "The rapid increase in the demand and its algorithmically-restricted supply is driving the price up, making many early adopters millionaires," he continues. "This is in turn making Bitcoin look like a lucrative investment opportunity, further driving the demand up exponentially." This also means that the future is uncertain, Devnani adds. "I would wish that the price rise was due to the increase in the actual use at retail and for P2P - which is the only thing which will actually make it the currency of the future," he says. "Unfortunately, currently this is due to speculation that the price will touch a million someday - as the community says - 'hold all the way to the moon'."